Following the latest black eye against the Partouche Poker Tour –a video that seems to explicitly show cheating at the 2009 Partouche Poker Tour Main Event– a fourth controversy in as many years has arisen, with allegations that family and friends of the poker room’s employees, and possibly the employees themselves, were given free entries into online tournaments. 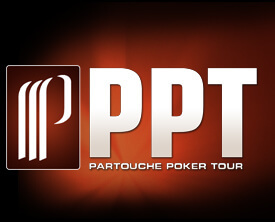 These latest accusations, coupled with the tour’s other issues over the years will probably land the Partouche Poker Tour alongside Ultimate Bet, the original Full Tilt Poker, the Epic Poker League, and other mismanaged poker endeavors, considering that over its short existence no tournament was the subject of more controversy than the Partouche Poker Tour. In addition to the newest cheating scandal from 2009 and the “family favors” there was also a highly publicized disqualification in 2010, and last year’s guaranteed prize-pool fiasco. So, even though the the tournament has been incredibly popular, at the same time it’s been incredibly contentious. Below you’ll find a summary of the four contentious issues involving the Partouche Poker Tour. The first black eye for the Partouche Poker Tour was the disqualification of Ali Tekintamgac from the 2010 final table for using spotters to signal his opponents’ hands. The disqualification first appeared to be a tournament staff doing their job, but apparently this type of cheating had grown widespread across Europe and the player outrage was quietly reaching a boiling point. Making matters worse for the Partouche Poker Tour is that a few years later players still do not know what became of the forfeited prize-money. At last year’s tournament the big news involved a controversy over the €5 million guarantee the tournament boasted. The Partouche Poker Tour claimed it wasn’t a guarantee when the tournament failed to reach the €5 million mark, which caused an extreme backlash from the poker community (who at this point was fed up with the likes of Full Tilt Poker and the Epic Poker League) which in turn caused Patrick Partouche to give his own epic rant, culminating with the announcement that this would be the very last Partouche Poker Tour event. In the end Partouche honored the guarantee, but the damage was already done. A recently released (edited) video of the 2009 Partouche Poker Tour Main Event clearly shows Jean Paul Pasqualini and Cedric Rossi using what appears to be not so well-hidden hand signals to signal each other what their hands are. The two men finished 1st and 2nd in the tournament and according to forum rumors the 3rd place finisher complained to Partouche officials at the time; complaints that apparently fell on deaf ears. The latest allegation against the Partouche brand has the French regulatory body ARJEL looking into some 40 online accounts at Partouche.fr for signs that family and friends as well as employees opened accounts (this is forbidden under French law) and were possibly given cash and prizes at the online site. According to one report, one player was given €36,000 in tournament tickets by the site.